In the precision manufacturing industry, depending on the composition of the metal/metals in question, the welding process is often a viable course of action when parts or pieces must be joined or fused together. And in many cases, the joint between the individual parts can be as strong structurally, if not stronger, than the components themselves. Although it is a functionally sound aspect of precision manufacturing, the welding/fabrication process can be quite challenging to perform effectively yet distinctly hazardous at the same time. It requires skilled tradespeople with the knowledge to utilize the appropriate method for the materials being fused while also taking required safety precautions and ensuring that the weld is adequately protected from atmospheric or environmental contamination. 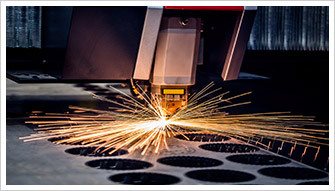 For some manufacturers, it may prove to be most cost-effective to use an external service for their welding needs; Noble Precision provides such services which, in cases where we have also machined the individual components/parts, will help to reduce time and effort on the part of the manufacturer in the construction of the final product/piece of equipment. As a result of these integrated services, Noble Precision can manufacture precision parts and equipment that are,in effect, ready-to-use upon delivery to our clients or to end-users. To discuss our welding/fabrication capabilities and how they might best serve your specific manufacturing requirements, call Noble Precision today at 416-938-6455 or contact us to arrange a consultation at a time convenient in your calendar.